Enter your Hapag-Lloyd container tracking number below, should have format HLXU1234567, get the real-time Hapag-Lloyd container status. More than 150 modern ships, five million TEU (Twenty-foot Equivalent Unit) transported in a year, around 7,000 motivated staff at more than 300 locations in 114 countries, networked through an IT system that is the industry leader: Hapag-Lloyd is a leading global liner shipping company and a powerful partner for you. Hapag-Lloyd offer almost 100 liner services between all continents, a fleet with a total capacity of around 730,000 TEU as well as a container stock of approx. 1.1 million TEU including one of the world’s largest and most modern reefer container fleets. For over 165 years Hapag-Lloyd has set industry-wide benchmarks for reliability, service, productivity and environmental protection. Other important topics for Hapag-Lloyd are compliance and sustainability. If you have problem with our container tracking system, please track your container directly on the Hapag-Lloyd website. If you get no tracking information from Hapag-Lloyd official website, you’d better contact Hapag-Lloyd. When you ship with Hapag-Lloyd, you will get a Hapag-Lloyd container tracking number with format HLXU1234567, HLXU is Hapag-Lloyd’s prefix. Hapag-Lloyd has the following prefix: HLCU, HLXU, CPSU, CSQU, AZLU, CMUU, LYKU, LYTU, TMMU, FANU, ITAU, CASU, IVLU, SIUU, CACU, PCRU, TLEU and HLBU. 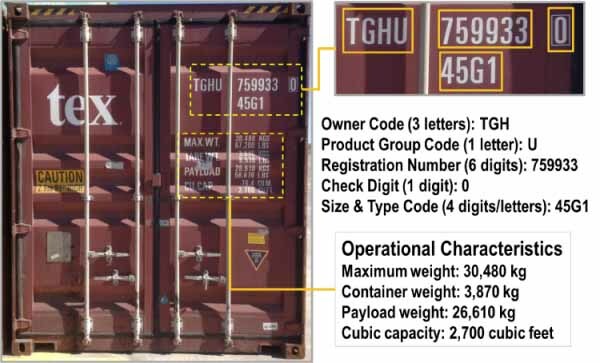 Know more Hapag-Lloyd container tracking number information from below picture. If you have problem with our Hapag-Lloyd Container Tracking system, submit your problem here, we will help you as soon as possible. Declare: We can NOT contact carrier or others on your behalf, we can only help you track your package with your Hapag-Lloyd Container tracking number on official tracking system.